Nancy Graziano, longtime CNY Marian Center board member and volunteer will be leading a five week study this Lent. ​Due to health issues, this is rescheduled for after Easter. Please call 315-452-4698 to participate after Easter. We all know the Our Father but take the time this Lent and learn to LOVE the Our Father. Using two key resources, On Earth as it is in Heaven by Josephine Lombardi and The Secret of the Rosary by St. Louis de Montfort along with other spiritual materials, Nancy will lead us on this journey to the Father through the prayer that Jesus taught us. Contact Nancy, 315-652-3253 with questions or to register for this five week study. A gift awaits you below. This calendar will take you on a spiritual journey through Lent with prayer, service and good works. Carol Puschaver, a friend of the Marian Center who has shared her love of the Guardian Angels and St. Michael in a past presentation, shares how and why she created the calendar and gives it to us for a deeper connection with Jesus Christ during these 40 days. The overview inspires us with options for our Lenten journey. Click on each header below to open Carol's greeting, the calendar and the overview. Use some of Carol's suggestions in the Overview to make your own Lenten calendar. ​ Sadly, I had never felt close to Our Blessed Mother, and frankly, I cringed at the approach of Ash Wednesday. That doleful day usually tokened something dreadful – like giving up chocolate. And chocolate withdrawal did nothing to help me grow closer to God. 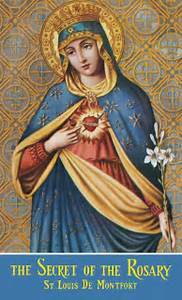 But this mindset began to change when I enthroned the Sacred Heart of Jesus in my home. Advent began soon after this and I made a point of going to Confession. While waiting in line, I seemed to sense Our Lady talking to me interiorly. She reminded me that Jesus was due to leave home in a few short months to spend some 40 days in the desert. This meant she would become something of an “empty nester” with a spare room – and no one to have supper with. Why not plan now to stay with her throughout these 40 days? We could get to know each other and I could experience firsthand the meaning of the words: “ to Jesus thru Mary.” I was overjoyed by her loving invitation and I began to see Lent in a whole new, positive way, overflowing with possibilities to live my faith as never before. The focus was not so much “giving up” something, as “taking on.” From prayer, meditation, and contemplative writing to works, virtual pilgrimages, liturgical celebrations – even singing! – each day became supercharged, enriching and transformative in a deeply spiritual manner. Check it out and see what you think. No matter the way you plan to spend the upcoming 40 days, I wish you a blessed Lenten journey. With or without the chocolate.